Hint: In Order to use the Sugar CRM connection, you will need your own Newsletter2Go Account. If you don’t already have one, you can create your own account for free here. To ensure that the user is allowed to use Sugar CRM, the following security roles must be in place. Important: this step is only necessary for Sugar CRM v7. An OAuth key is required to authenticate Sugar CRM v7. To create an OAuth2 key go into the administration settings and click on OAuth keys on the system board. You can create a new key by clicking on the drop down link and then selecting ‘create new OAuth key‘. Select OAuth 2.0 as the correct version, enter the necessary details and make sure to note down your Client Key and Client Secret – you will need them later. Now click ‘save’. To set up the Sugar CRM integration, log yourself in to your Newsletter2Go account and go to ‘Settings’ -> ‘Plug ins’ -> ‘Set up new connection’. 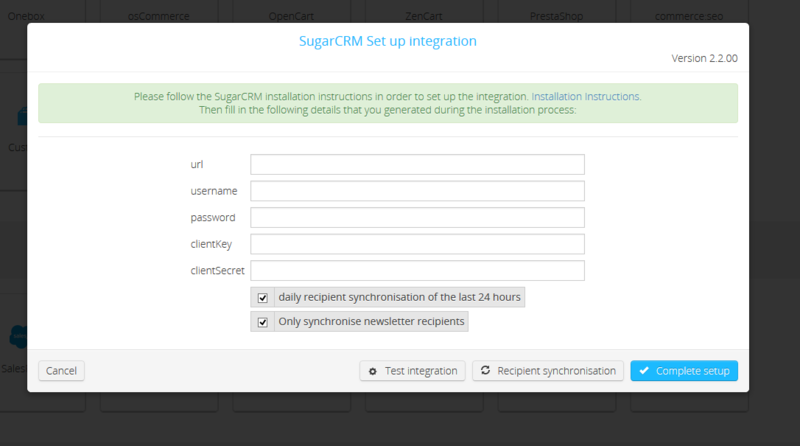 Now select Sugar CRM from the available CRM connections. Enter the URL to your CRM system, your Sugar user name and password and the ‘client key’ and ‘client secret’. You can now test the integration by clicking on ‘Test integration‘. How do I set up the cobra plug-in for Newsletter2Go? How can I update my plug-in connections? 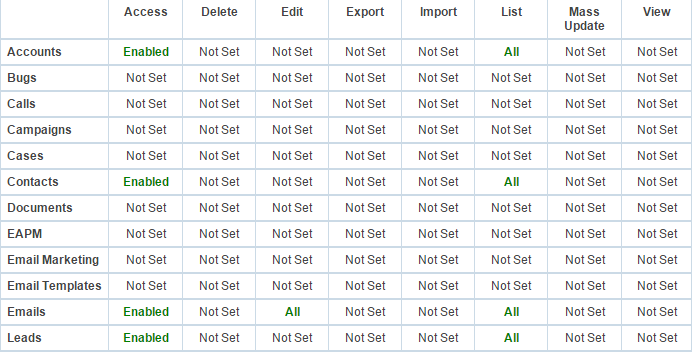 How do I set up the Salesforce CRM connection? How can I use contact information from an external CRM system? How do I set up the Microsoft Dynamics CRM connection? How do I set up the plug-in from Newsletter2Go to Afterbuy?